Dior. Lanvin. Galliano. Prada. Dolce & Gabbana. These are the world’s leading Design Houses that Natasha Zaki, renowned make up artist and influential beauty blogger has built her impressive career doing make up for in the fashion capitals of Paris, Milan, London and New York – and no surprise, she is equally fabulous in every way! Natasha is also the Founder of the well-loved make up & beauty accessory brand, Glossy Make Up, a favourite for glamorous make up among Socialites in the Middle East region, London and further afar. Our role as strategic branding partner was to reposition the Glossy Make Up brand for future growth by creating a solid brand foundation and a compelling brand identity system. 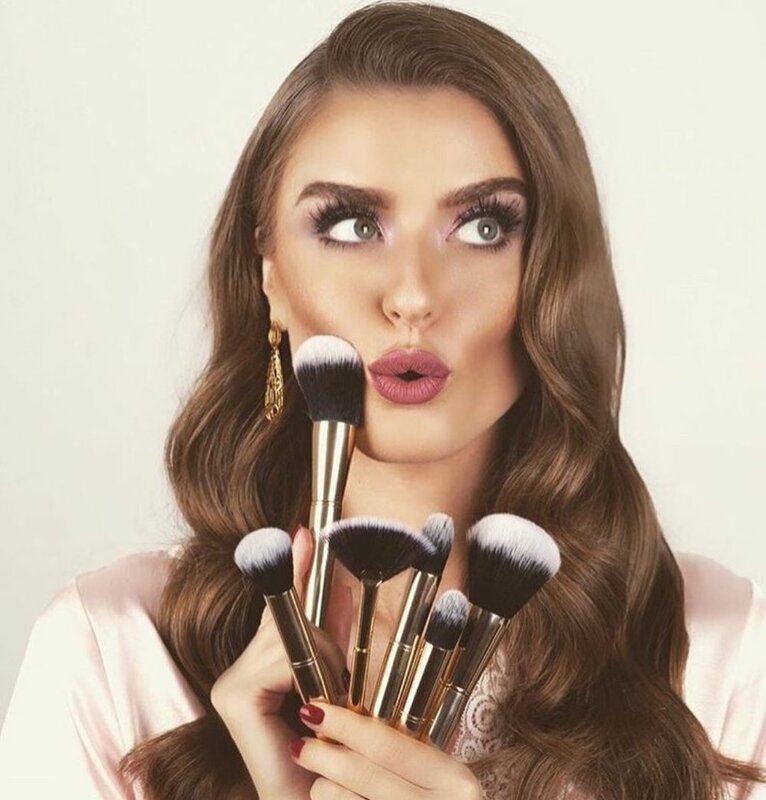 With the development of a full range of product packaging, Natasha was able to debut her very own designs for false eyelashes and make up brushes under the Glossy Make Up brand. In true collaboration, we created a sophisticated brand that beautifully blends a modern-glam aesthetic with empowering messages, while illuminating undertones of professionalism, warmth and approachability that Natasha so effortlessly embodies. Blending a modern-glam aesthetic with empowering messages.